It is my understanding the RX-8 R3 wheels can fit on a 3rd generation Mazda 6. (I know they fit on the 2nd generation.) Has any of you 3rd generation Mazda 6 owners installed RX-8 R3 wheels on your car? If so, can you post some pictures? 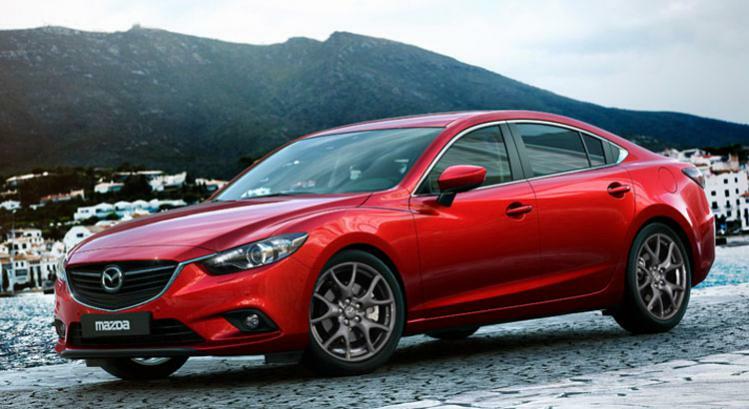 If no one has these wheels on their car, could one of you photoshop experts out there post a picture of the 3rd generation Mazda 6 with RX-8 R3 wheels on. I would be greatly appreciate it. Below is a picture of the RX-8 R3 for reference. Those wheels are almost impossible to find and very expensive FYI. If you have the inside track on a set, let me know! I saw a set on eBay not too long ago. I just checked again and there aren't any for sale right now. I'm keeping an eye out for a another set to go on sale. I also saw these as a possible alternative. Last edited by MADLUV4M6; 04-16-2014 at 09:18 PM. Sweetness. RX-8 R3 rims on a GJ. Ala custom Mazda OEM. Now that's what I'm talking about. That would sure look awesome on the M6. I was looking earlier for a 2011 Series II RX-8 6MT shift knob, with the same shift pattern as our 6MT GJ to replace the stock shift knob. Does anyone know the Mazda part # for these RX-8 rims? Size and offset? I've pondered these before. Really look sharp.